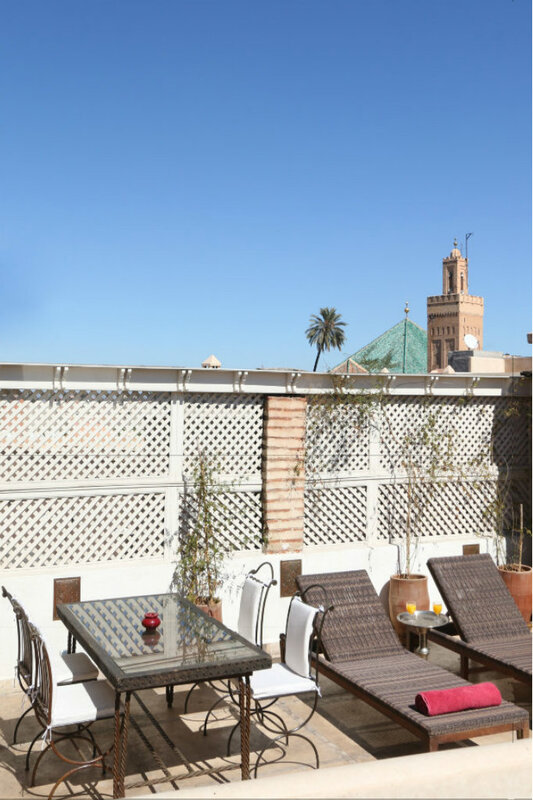 It all begun in a beautiful sunny day in March, during a visit to Marrakech, when we saw this charming place for the first time. 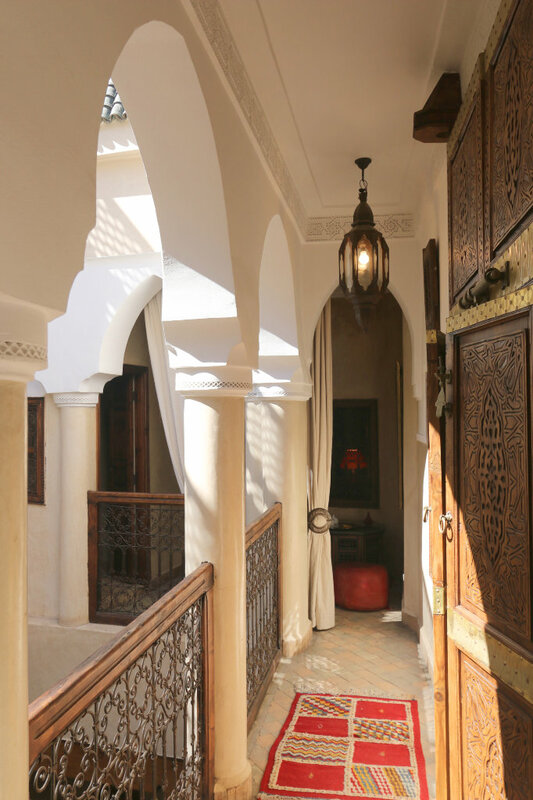 Built in the 19th century, we bought this real Moroccan home in 2013 and made just a few modifications to make it sunnier and warmer, placing ourselves in the skilful hands of local craftsmen and respecting the local architectural rules. Let us introduce ourselves, Veronica and Alessio, a pair of curious Italian travellers who love to travel and set off on new adventures. After wandering around South & Central America, Europe and Africa we ended up to Morocco, fell in love with the country and decided to start a new life here, in order to pay back the hospitality we have received so far on our travels around the world. To be sure that your are constantly cuddled, you will have by your side Oussama, a real marrakchi soul. He’s there to help you to organise your activities, always respecting your privacy. So ask him to arrange your tour to Essaouira, if you want to enjoy one day to the sea, or to the Ourika valley, if you want to experience trekking in the Atlas mountains. If you want to enjoy a private dinner on the terrace, under the stars, or in the patio, with the relaxing sound of the mural waterfall. 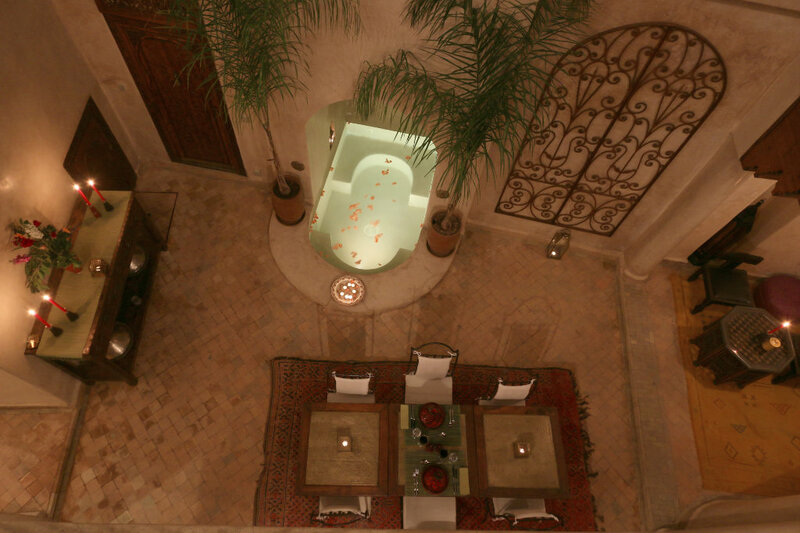 Also ask him if you want to relax with some beauty treatments in the hammam. In the kitchen and taking care of cleaning you will find Noura, she will cuddle you with her delicious gastronomic specialities, which will be one of your best memory of your holiday. and from that moment on the memory of this adventure will be imprinted on your mind! 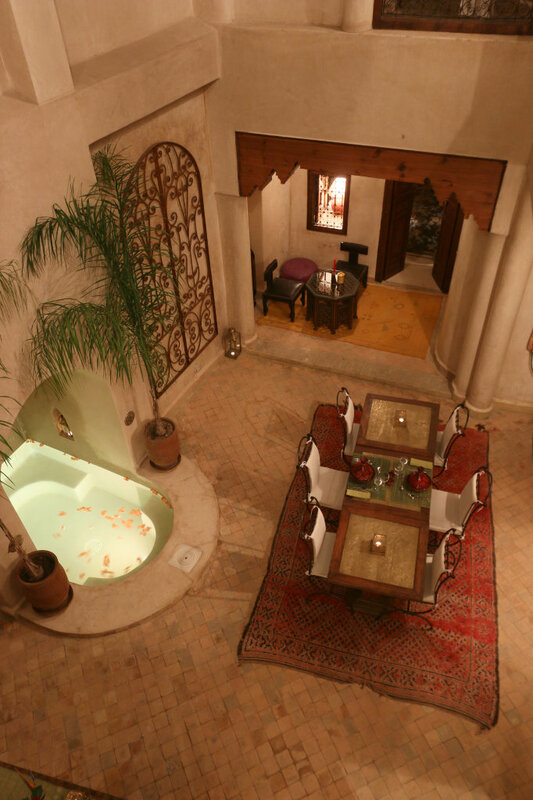 Riad Jaune Safran offers you a cool patio, a small pool, a terrace with pergola and solarium and a little traditional hammam. 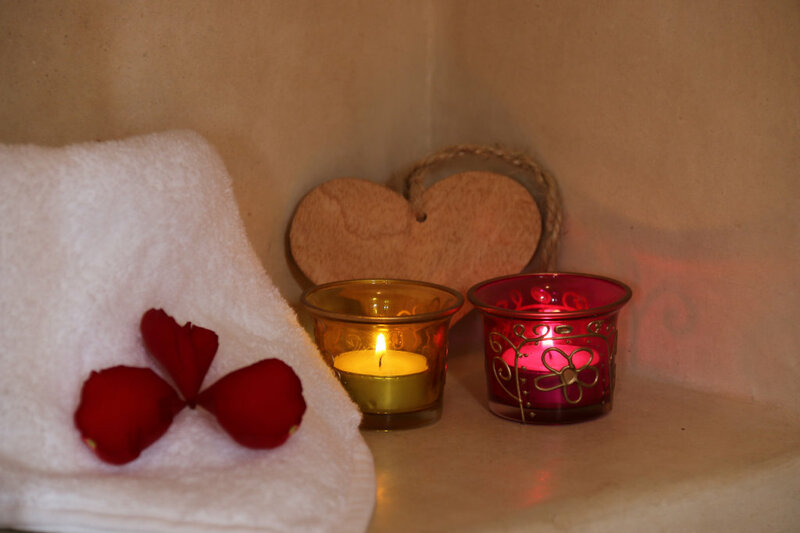 Everything is thought to grant you relax and to pamper you. 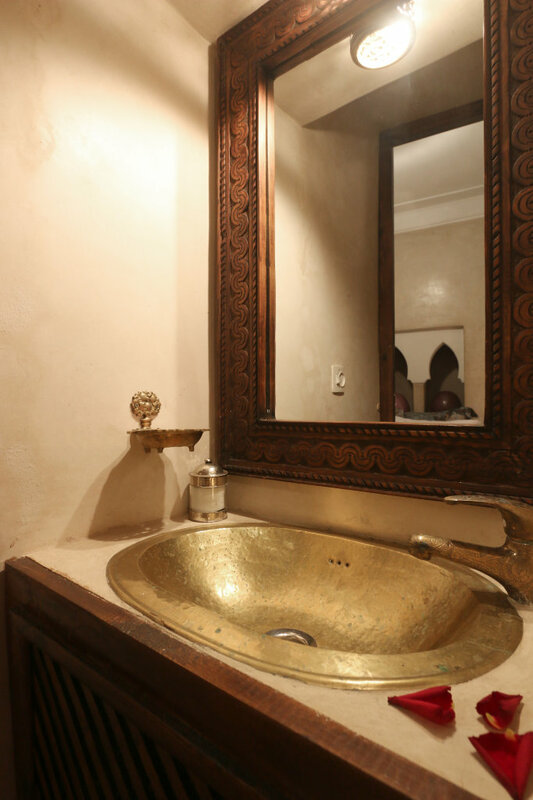 We will do our best in order that you can unwind and rediscover your well being. Walls, floors and showers in tadelakt, bathrooms with zellij covering. Berber's handcraft daily usage objects decorates the riad: pegs to fix the tents in the desert, richly decorated chests, colourful Berber’s doors, water skin's. And also candles, lanterns, carpets. We give you the possibility to taste typical local cuisine with rigorously fresh produce, bought at the local market and cooked in the traditional way. Vegetarian and vegan dishes are also available. 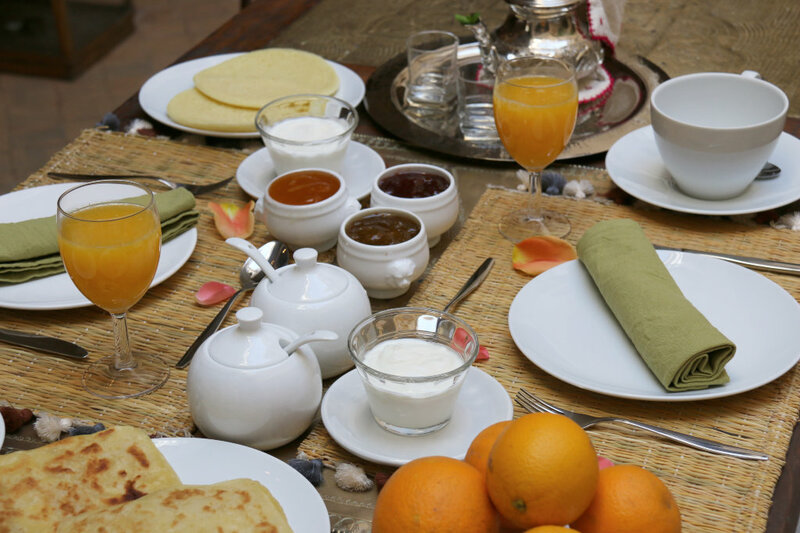 To guarantee the freshness of primary ingredients, lunch and dinners must be booked in the morning.